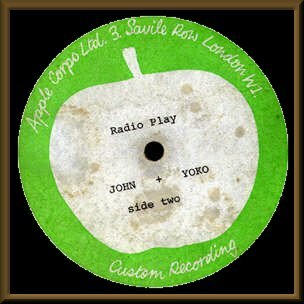 The Flexi was copied on the early Tobe Milo release titled "Life With The Lennons". 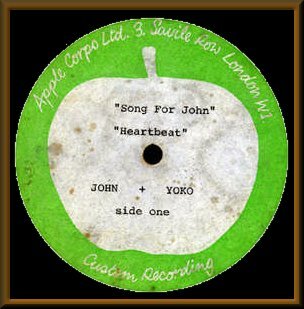 The tracks were also reprocessed for commercial release on "Unfinished Music No. 2: Life With The Lions" as well as the CD release of "The Wedding Album". 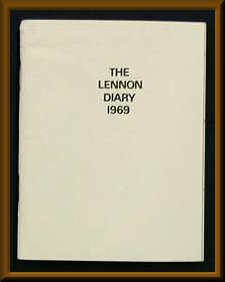 This is an excellent example of one of Lennon's rarest collectibles. 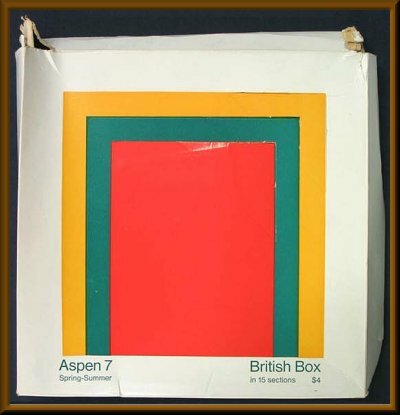 Included along with a 2nd flexi disc by John Tavener in a special promotional box set made for Aspen magazine in 1969. 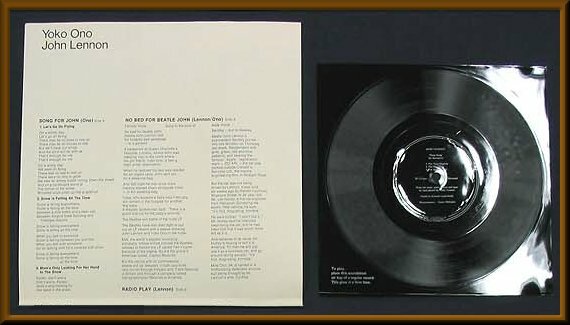 Both 8" flexis were double sided and came enclosed in a wrap around card sleeve that was printed with lyrics,artist info and times.